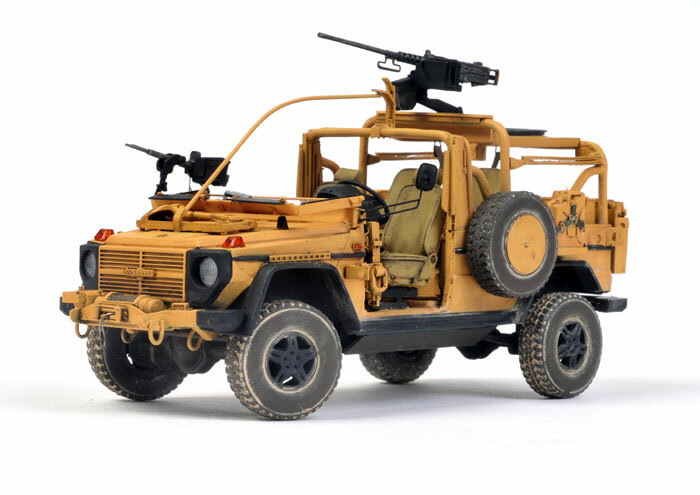 Here is my 1:35 scale Revell Mercedes Wolf transformed into the French Panhard VPS Special Forces using ADV/Azimut's comprehensive multimedia conversion. 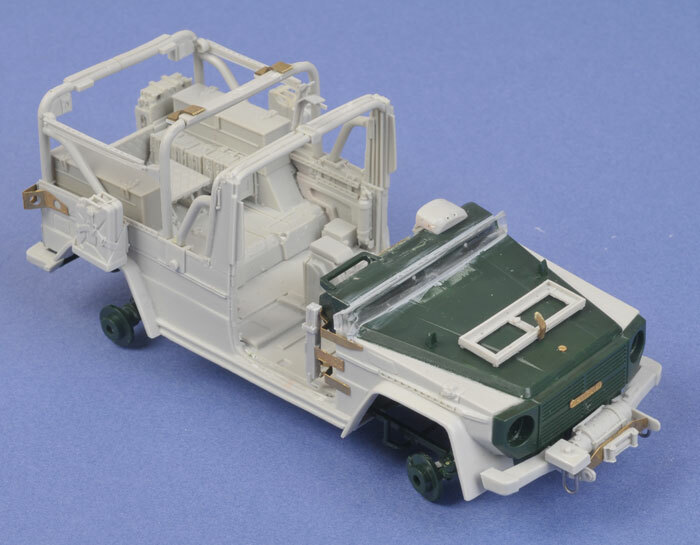 The basic Revell Wolf is a nice kit, and the ADV/Azimut conversion fits well after careful preparation and alignment. 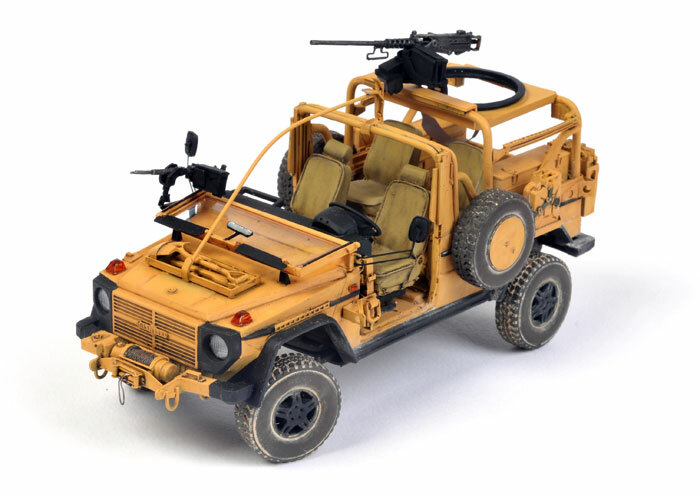 The construction of this model features in a detailed article in Issue 54 of Model Military International magazine, due to hit the shelves in a few weeks.